You are at:Home»iPhone»Wireless»How Do I Connect An iPhone To Car Bluetooth? Here’s The Truth! How Do I Connect An iPhone To Car Bluetooth? Here’s The Truth! You want to connect your iPhone to your car, but you’re not sure how. Most new cars are capable of pairing with your iPhone which allows you to your music, make hands-free phone calls, and much more. 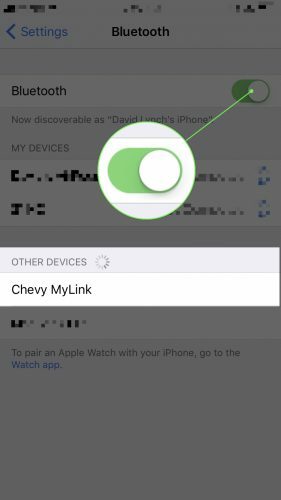 In this article, I’ll explain how to connect an iPhone to car Bluetooth and show you how to troubleshoot connectivity issues when your iPhone is not connecting to you car. How Do I Connect An iPhone To Car Bluetooth? First, make sure your iPhone has Bluetooth turned on by going to the Settings app and tapping Bluetooth. Then, make sure the switch next to Bluetooth is green with the slider positioned to the right, which indicates that Bluetooth is on. After your iPhone pairs with your car, it will appear under My Devices. You’ll know your iPhone is connected to your car when it says Connected next to the name of your car. What Is Apple CarPlay? How Do I Know If My Car Has CarPlay? Apple CarPlay was introduced in 2013 and integrates apps directly into the display already built into your car. If you have an iPhone 5 or newer, Apple CarPlay allows you to make calls, use Maps as a GPS, listen to music, and much more in your car. Best of all, you can do it hands free. Check out this article to learn more about Apple CarPlay and to see all the vehicles which are compatible with CarPlay. My iPhone Is Not Connecting to Car Bluetooth! What Should I Do? If your iPhone is not connecting to car Bluetooth, there’s probably a connectivity issue that’s preventing your iPhone from pairing with you car. However, we can’t completely rule out the possibility a hardware issue. There’s a small antenna inside your iPhone which helps it pair with other Bluetooth devices. This antenna also helps your iPhone connect to Wi-Fi networks, so if your iPhone has had trouble connecting to Bluetooth devices and Wi-Fi lately, then it may have a hardware problem. Follow the steps below to figure why your iPhone won’t connect to car Bluetooth! Our first troubleshooting step when trying to connect an iPhone to car Bluetooth is to turn your iPhone off, then back on. This will allow all of the programs that run the software on your iPhone to shut down so they can start fresh again when you turn your iPhone back on. To turn off your iPhone, press down on the power button (known as the Sleep / Wake button in Apple jargon) until the words “slide to power off” appear on your iPhone’s display. Then, swipe the red power icon from left to right to turn off your iPhone. Wait 30-60 seconds, then press and hold the power button once again until the Apple logo appears on the center of the screen. Turning Bluetooth off then back on will give your iPhone a chance to try again and make a clean connection. A minor software glitch may have occurred the first time you tried to connect your iPhone to a Bluetooth device, and turning Bluetooth off and back on may resolve that glitch. To turn off Bluetooth on on your iPhone, open Control Center by swiping up from below the bottom of your iPhone’s display. 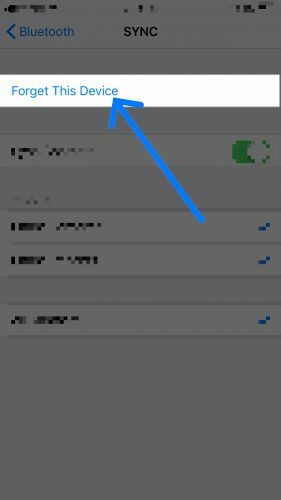 Then, tap the circle containing the Bluetooth icon — you’ll know Bluetooth is off when the icon is black inside of a gray circle . To turn Bluetooth back on, tap the Bluetooth icon again. 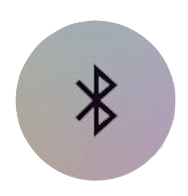 You’ll know Bluetooth is back on when the icon is white inside of a blue circle . Just like any other Bluetooth device, such wireless headphones or speakers, your iPhone saves data on how to pair with your car the first time your connect it to your iPhone. If at any point that pairing process changes, your iPhone may not be able to make a clean connection to your car. To fix this potential problem, we’ll forget your car in the Settings app. So, the next time you attempt to pair your iPhone with your car, it’ll be as if the devices are connecting for the first time. To forget your car as a Bluetooth device, open the Settings app Bluetooth. Look for your car in the list under “My Devices” and tap the information button to its right. Then, tap Forget This Device to forget your car on your iPhone. Next, reconnect your iPhone and your car by tapping on the name of your car under the list of Other Devices. Complete the setup process to pair your iPhone to your car. If you’re using an outdated version of iOS (your iPhone’s software), it could lead to Bluetooth connectivity issues. New software updates may introduce new ways to pair your iPhone to Bluetooth devices. If a software update is available, you’ll see information about the update and a button that says Install Now. Tap that button to download the update, which will install if your iPhone is connected to a power source or if your iPhone has more than 50% battery life. 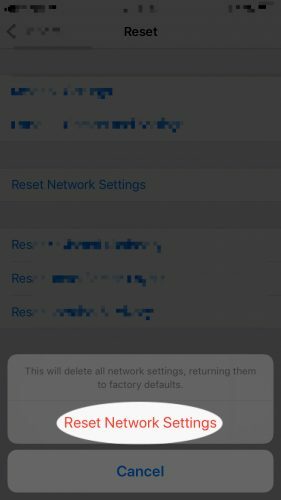 Our final software troubleshooting step is to reset network settings, which will erase all your iPhone’s saved data on Bluetooth devices, as well as any saved Wi-Fi data and VPN settings. Wait! Before reseting network settings, make sure you write down your Wi-Fi passwords because you’ll have to reenter them after the reset is complete. To reset network settings, start by opening the Settings app and tapping General -> Reset -> Reset Network Settings. Then, enter your passcode and tap the red Reset Network Settings when the confirmation alert appears near the bottom of your iPhone’s display. Once the reset is complete, your iPhone will reboot. Go back to Settings -> Bluetooth and look for your car under Other Devices to reconnect. If you can connect your iPhone to your car via Bluetooth, most of the time you can also connect them using a Lightning cable (more commonly referred to as a charging cable). Though it’s frustrating that Bluetooth won’t work, you can usually get all of the same functionality from a wired connection. If your car has Apple CarPlay, you won’t lose any app integration by connecting your device to your car with a Lightning cable rather than connecting your iPhone to car Bluetooth. If none of our software troubleshooting steps have fixed the problem, it may be time to visit your local Apple Store to see if a repair is necessary. Before you go, we recommend setting up an appointment to make sure you can get in and out in a timely manner. Your iPhone is connecting to your car’s Bluetooth once again! 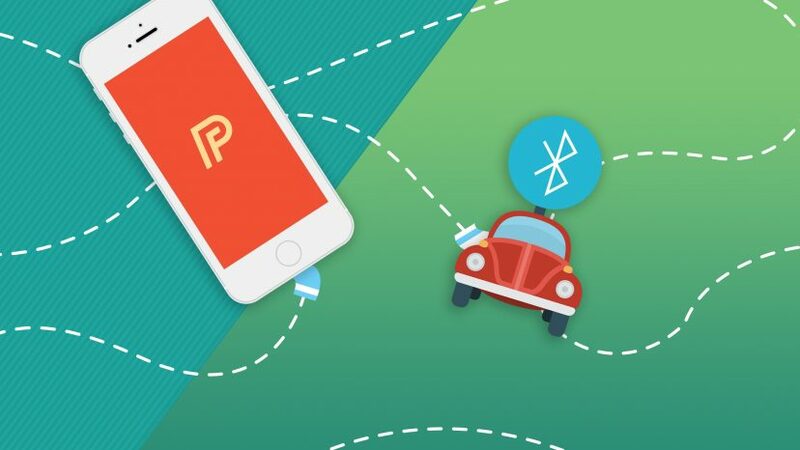 Now that you know how to connect an iPhone to car Bluetooth, and what to do when things go wrong, I hope you’ll share this article on social media with your family friends. Thanks for reading, and drive safely! Next Article How Do I Set Up Medical ID On An iPhone? Here’s The Truth!